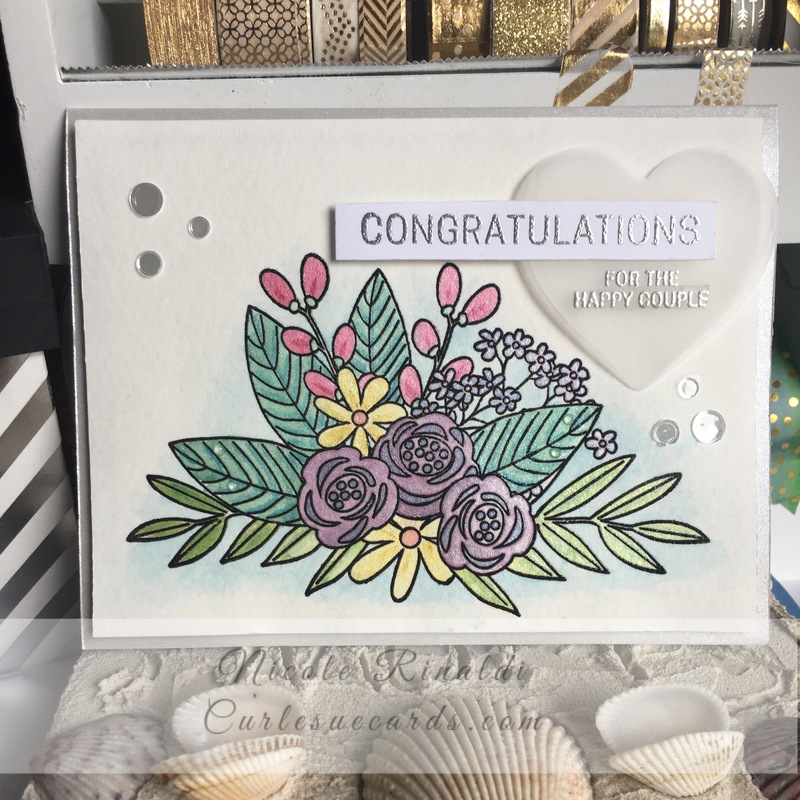 I wanted to share with you my second attempt at a card with the beautiful, large Floral image from SSS’s Floral Bliss. I really did not do this stamp justice the first time I used it! This time around I stamped it with Versafine black onyx in and embossed it with clear powder. 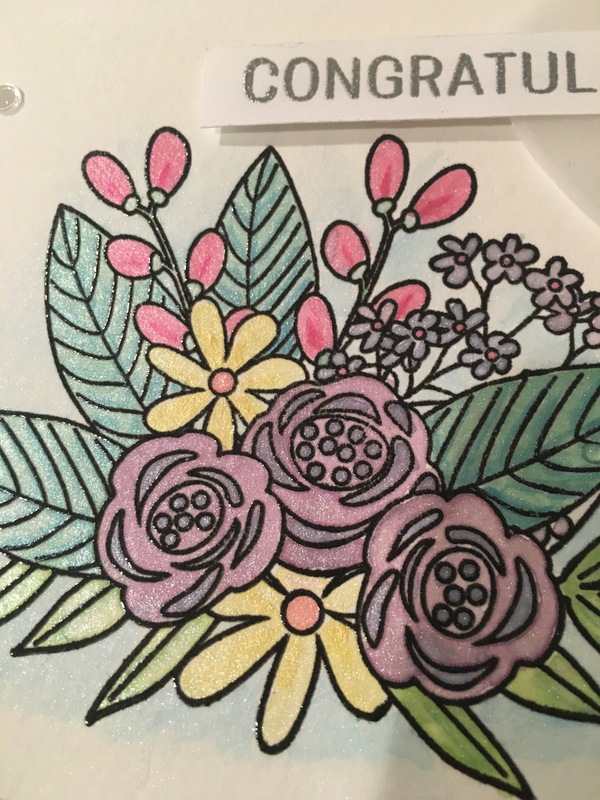 Then I use the Gansai Tambi pearlescent watercolors to fill it in. I also used the paint for a light wash around the image. Here is a close up. I stamped the sentiment from the set on a strip of white cardstock with silver pigment ink and heat embossed it with silver powder. I also stamped the smaller sentiment that on a vellum heart with the same ink and embossed it with the same powder. I adhered the heart and sentiment strip with foam tape to pop it up. I added a couple of Morning Dew Nuvo Drops and some silver confetti sequins. I’m much happier with this card!! Next Post Sweet Stamp Shop Wizards!